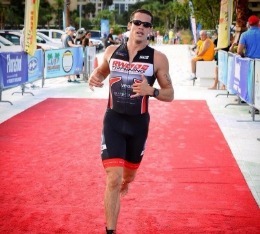 Rich Wygand have raced professionally for 12 years completing 18 ironmans including winner of the Hits Triathlon Full distance in 2016. "When I decided to become an athlete I was 260 pounds, drinking every single night, and smoking almost 2 packs a day. Plus I was 23 years old (relatively old since I had no background in sports). 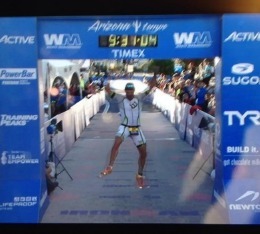 However I fought the odds, and I raced professionally for 12 years with an Ironman PR of 9 hours and 15 min (unofficial) and several under 10 hours! I recently stop racing to dedicate myself for coaching and my son that has a rare muscle condition, 10% of each plan goes to the go Luke Wygand Foundation"
Over 120 athletes from ground zero to ironman finisher. Over the years I have coached many athletes, most of them from ground zero. I have coached athletes that could never even cross the pool to finish an ironman in less than 12 hours, just like I did! If you are ready to achieve your odds, I am your coach! All you need is to be READY for it! I followed the training diligently and maybe missed only a few days of workout due to travel/family events. Rich was instrumental in coaching me on everything ... nutrition, race preparation, race strategy, bike gear, swim gear, stretching .. he even fixed the hip pain I had for several months go away. Absolutely Incredible!!!!! 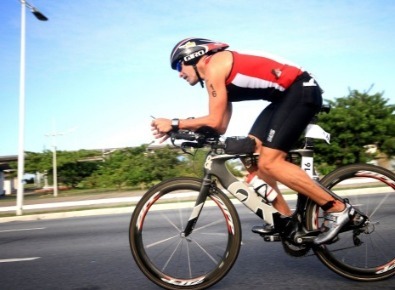 I did my first 70.3 race in 2008, and here I am ... 43 years old and I am in the BEST SHAPE OF MY LIFE!! Ready to race an a full IRONMAN distance. On race day I followed the strategy exactly as Rich told me. 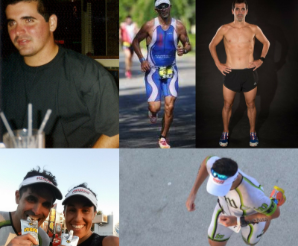 Swim, T1, Bike, T2 and Run ... the results were incredible!! FINISH TIME: 11:42: 45 !!! WHATTT?!!! I could not believe it! And the most amazing thing about the race, was my marathon time, 4:04:32 !! That is 6:34 faster than my Houston Marathon time alone ! Not a single cramp during the entire race and only stopped when I crossed the finish line! !